Told in alternating perspectives that interweave the two characters and their fates, Audrey Schulman's newest novel deftly confronts the struggle between progress and preservation, idiosyncrasy and acceptance. Evoking both Barbara Kingsolver and Andrea Barrett, this enthralling fiction, wise and generous, explores some of the crucial social and cultural challenges that, over the years, have come to shape our world. This is a book to savor. Read it slowly because the words transform into poetic images of Africa. Schulman weaves back and forth between the stories of two emotionally challenged people: Jeremy, who is struggling with being gay in the nineteenth century and Max, who is coping with Asperger's. It is a beautiful, beautiful book - one that you'll finish and immediately want to read again. Look for clues as to what makes these two seemingly disparate stories connected - the truth will surprise you (Mary R). Each character is challenged by what sets them apart from society... Add life threatening events to each of their stories, and you have a compelling and moving novel, a story that you can't help thinking about days after finishing it (Christine P). (Reviewed by BookBrowse First Impression Reviewers). This is a moving story, told with great sympathy for the empirical facts, which doesn't stop us as readers from getting our guts kicked out by Audrey Schulman's great voice. Sympathetic to her two loners while accepting their faults, Schulman (A House Named Brazil) nudges her characters into their fears in order to measure their reactions, but her greatest asset is her cultural sensitivity. Advocacy fiction - a little preachy and obvious but also genuinely passionate about both the cause of African wildlife and the sensory experience of Africa, which Schulman brings to tactile life. One of the main characters in Audrey Schulman's Three Weeks in December - an American ethnobotanist named Max who has Asperger's Syndrome - finds herself in East Africa searching for a medicinal plant. 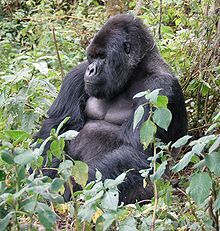 Along the way, she follows a family of exquisite mountain gorillas that have somehow escaped local poachers and finds that she has an amazing ability to understand their non-verbal communication. 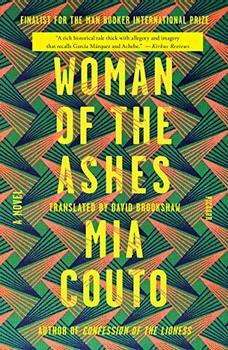 The first in a trilogy about the last emperor of southern Mozambique by one of Africa's most important writers.